Hard working youth... 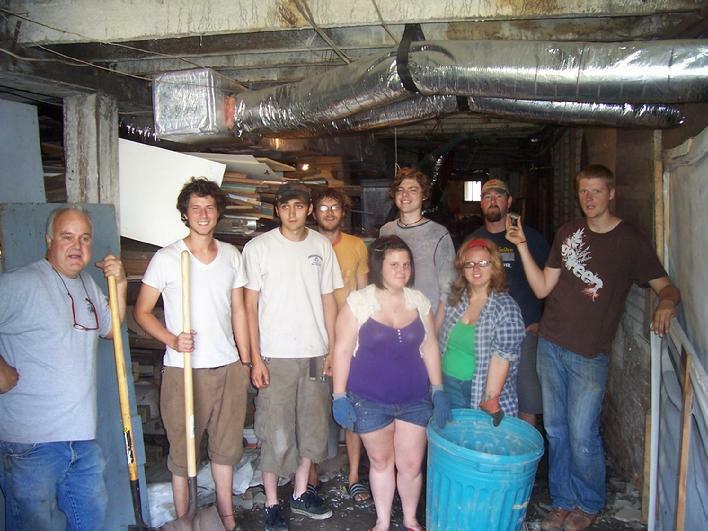 They decided to venture into the unknown,unseen parts of the basement and uncover ,camera's, printing presses, old buckets, hardware, lots of coal, the embalming room, the elevator shaft and so much dirt.Just to name a bit of the artifacts. Although this is not typical work of our interns . This group of young people decided this would be their contribution to the Museum.. I must say it was a wonderful one. A huge contribution. They worked so hard and we appreciate them so much. Requirements: Must be able to work week-ends, holidays,special evening events. provide a background check and in addition to your application a letter of recommendation from a teacher/ instructor/or clergy. As a tour guide you will introduce the history of coal camp life and the 19th century history. Period dated dress depicting the life and times at the company store and coal camp communities in the 1900's. willingness to learn all areas of running a small private museum. This is a hands on interactive museum. You will be working with the collection, arranging the exhibits, working independently on specific projects as well as working with children and large crowds. Interest in exploring opportunities to work in the living history field, especially Appalachian lifestyle and West Virginia. Knowledge of Coal Mining in West Virginia history- generally gained through participation or strong interest in pursuing an graduate degree in History, Appalachian studies , Humanities, Architectural History , anthropology, Theater/Drama/the Arts, Museum Studies, Art history or a related discipline. Excellent internship for a young writer or photographer. Applicants submit a resume with a cover letter indicating why you are interested in this internship and what you hope to gain from this experience. What do you hope to contribute to Whipple Company Store & Museum? You may also mail by post to 11631 Fort King rd Dade City Fl. 33525 att: Joy Lynn.